Ok, it's been a cold winter. Polar Vortex cold in Wisconsin. Nothing done on the Teardrop lately. In addition, I'm still recovering from back surgery, so I probably wouldn't have gotten much done anyway. I decided to pull the trigger on the roof rack. I've seen some pretty suite old-school racks on teardrops, and I have been thinking about what I would do for a long time. I like the idea of being able to put extra gear up top, but I also wanted something that I could remove easily if I was traveling light. 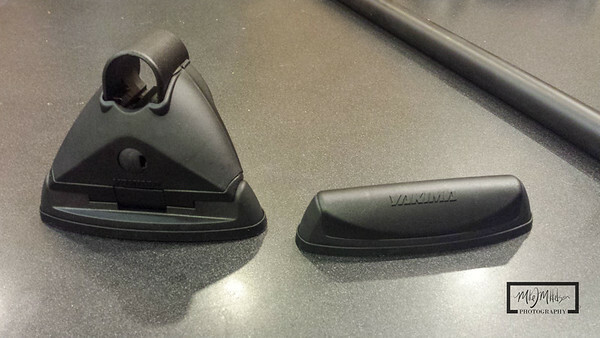 I've been a long-time customer of Yakima roof racks way back to when I windsurfed heavily. 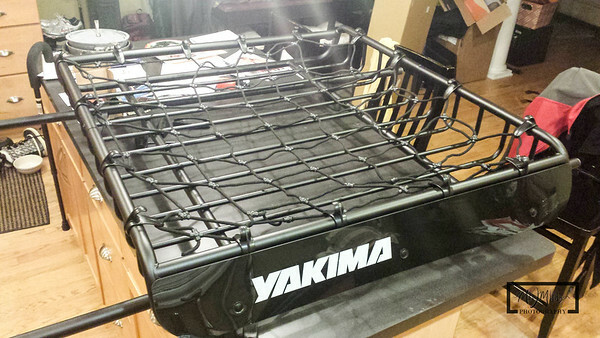 I've had a Yakima rack on every single one of my vehicles, including my current Toyota Highlander. What I like about using the load warrier cargo basket, is that I can put coolers and miscellaneous gear on top and out of the way. I can also remove the entire rack and go with a naked roof for better fuel efficiency. I'll mount the tower brackets directly to the roof, which will keep a low profile when not in use. This gear will rot in my basement until the teardrop is finished, but I got a big discount so I bought early. I will probably replace the front fairing with a custom wood panel to match the tear, but that is a low priority.